It’s kind of hard to believe that next month will be our last new block pattern and we’ll be on to quilt top assembly! I really did love making this month’s Pineapple Puzzle block because there were only 2 types of units that made up each block. It was fun to just go more on autopilot with chain piecing and block construction. That pink print just might be my favorite one as well! 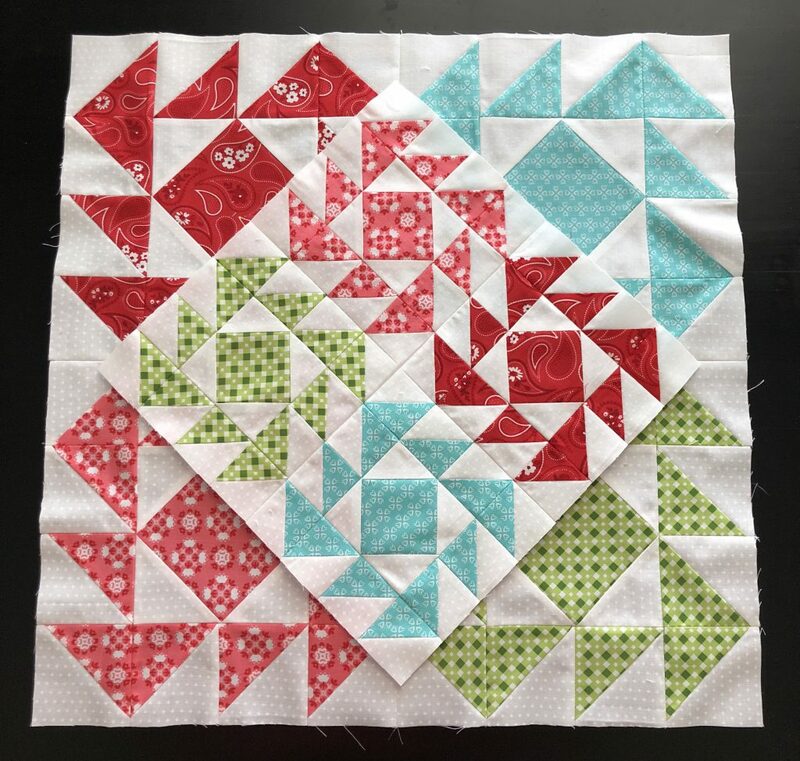 For the month 5 pattern, head to Fat Quarter Shop’s Jolly Jabber blog.